Firstly, I must say, the Narnia books were the Harry Potter of my childhood. Edmund, yes Edmund (see bad-ish boys even then) was my first literary crush at the age of 10 or so. So of course I saw this movie. However, it brought up similarities with Outlander 3: Voyager. Well, similarities in my mind at least. If you recall, a few weeks ago, we cast our supes in the Outlander roles. 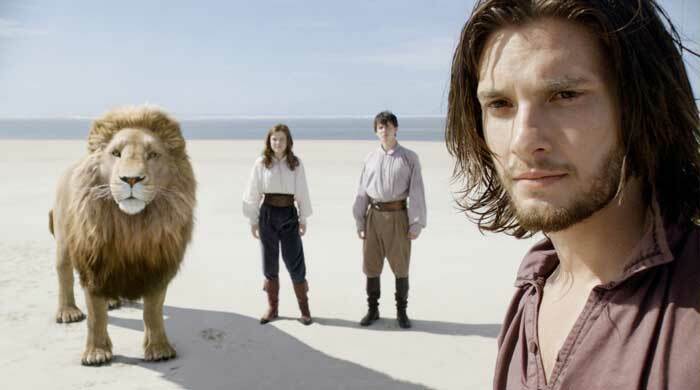 One of my Fergus options was Prince/King Caspian from the Narnia series, played by Ben Barnes. OK, have you seen this man? And I do mean man.. he’s just shy of 30! So anyway, I had that in mind when I went to see the film… and I do love Fergus. OK, I’m only on the Fiery Cross, so I don’t know if he turns into a total douche at the end, but right now I am waving the Fergus flag. Oh Mr. Barnes, I have been googling you all evening, like after we all saw Twilight and hunted Rob info … Benspian is my Robward. Lots of Bens. Although he looks more of a Roger esque type in the last two. But I've already cast Robger. ifyouknowwhatimeanandithinkyoudo. 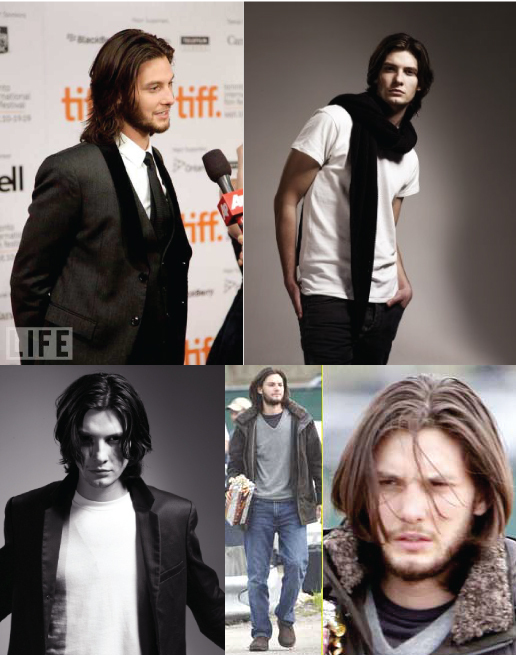 So, like Jamie, I’m changing Casssssspian to “Scruffy McHottie” (aka Fergus). Edmund (Young Ian!!!!! 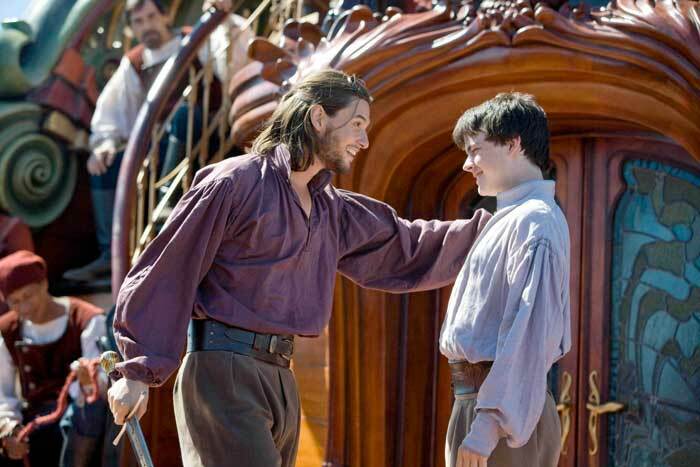 Well, a little short.. but c’mon can’t you see him as young Ian? Mischievery and all.) and Lucy show up and their voyage begins. Look, sword.. ship... see the resemblance? Young Ian-Edmund is kidnapped! This time only briefly by a fire breathing dragon instead of rum guzzling pirates, but whatevs. Lovely English Lucy has a little box of healing goodies, very Claire-like. There is some island hopping, bounding from danger to danger, like Haiti and Jamica in Voyager. They sleep on the beach, however there is no wedding night festivities. ‘Cause it’s mostly dudes and wholesome. Jasper John could've made a cameo if Peter was busy. Scruffy McHottie likes a pretty blonde Nighean. 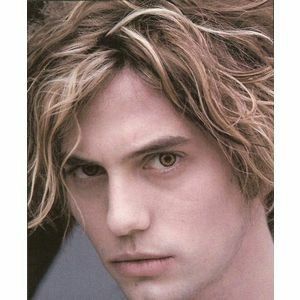 Young Ian Edmund is pursued/ tempted by a very blond and evil witch. The main characters are imprisoned in a cell and later freed, like Ardsmuir. However, there is no Lord John. Where’s Peter? 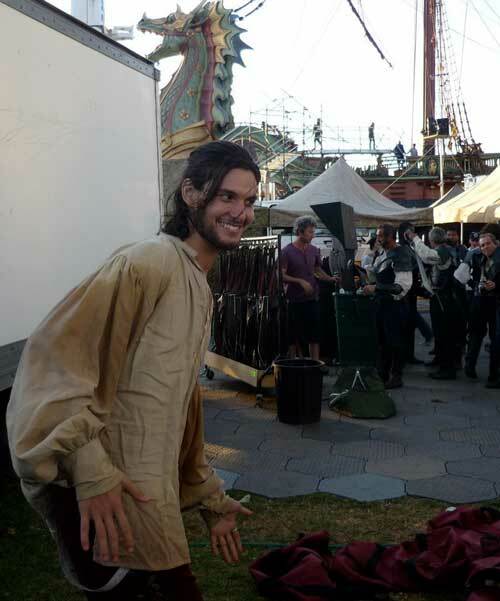 He could could stand in for Lord John. There is a little troublemaker, Eustice, sitting on deck writing and talking to birds Willoughby style. He was, however, lacking wee stabbers… unless he purloined Reepicheep’s sword. 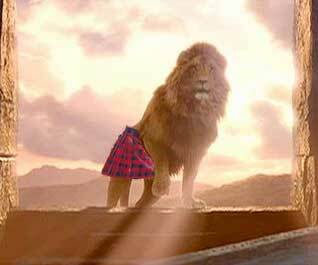 Aslan is the Jamie of this film. The voice of reason, offering advice, giving everyone warm fuzzies with his appearances. Seriously, I Mmmphed a snicker when the “sun was shining on his copper (mane)”. Himself sends the travelers back into their own time.. hello, Jamie and the stones (OK Dragonfly again, but whatevs). Also, that Liam Neeson deep voice!!! I was sooo ready for him to call Lucy, “Sassenach”. So yes, go see it! For Scruffy McHottie Fergusness alone. Sorry to all, I have been drinking.